Having covered the basics of location management in iOS 5 iPad applications in the previous chapter it is now time to put theory into practice and work step-by-step through an example application. 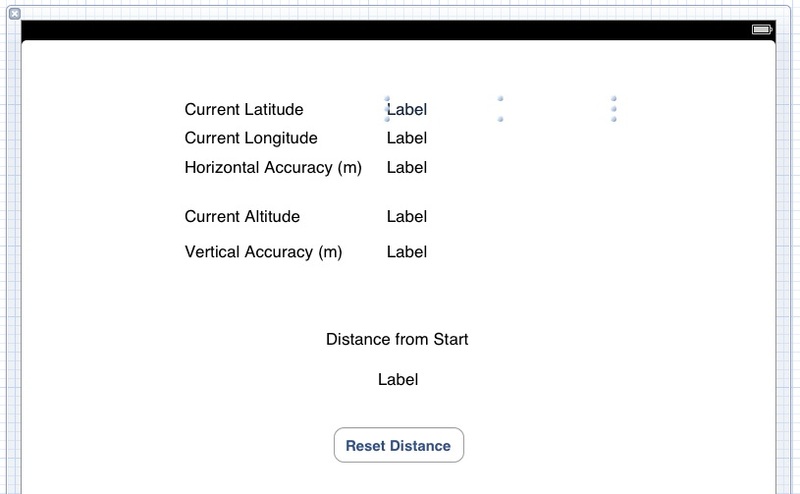 The objective of this chapter is to create a simple iOS application that tracks the latitude, longitude and altitude of an iPad. In addition the level of location accuracy will be reported, together with the distance between a selected location and the current location of the device. The first step, as always, is to launch the Xcode environment and start a new project to contain the location application. Once Xcode is running, select the File -> Project… menu option and configure a new iOS iPad application named location with a matching class prefix using the Single View Application template. In order to access the location features of the iPad the Core Location Framework must be included into the project. This can be achieved by selecting the product target entry from the project navigator panel (the top item named location) and clicking on the Build Phases tab in the main panel. In the Link Binary with Libraries section click on the ‘+’ button, select the CoreLocation.framework entry from the resulting panel and click on the Add button. Click on the Run button located in the Xcode project window toolbar. If any compilation errors are encountered correct those problems and try again. Once the application has compiled and linked it will launch into the iOS Simulator. Before location information can be gathered, the user is prompted to grant permission. Once permission is granted, the application will begin tracking location information. By default, the iOS Simulator will be configured to have no current location causing the labels to remain unchanged. In order to simulate a location, select the iOS Simulator Debug -> Location menu option and select either one of the pre-defined locations or journeys (such as City Bicycle Ride), or Custom Location… to enter a specific latitude and longitude. To experience the full functionality of the application it will be necessary to install it on a physical iPad device, a process that is outlined in the chapter entitled Testing iOS 5 Apps on the iPad – Developer Certificates and Provisioning Profiles. Once the application is running on an iPad the location data will update as you change location with the device.